Or why most interviews of Expats in Mexico are worthless. One of things that frustrated me when I was researching the idea of living in Mexico were all the overworked platitudes in the articles I’d read (Confession: I have used them myself, plenty at first). It was as if I was reading the same article over and over, with a picture of a different couple in it like the one here (Who also started to all look the same too). After reading the same clichés in interview after interview, I finally asked myself what did those hollow statements really mean? The general-publication articles about what life in Mexico never go so far as to directly associate the platitude with what, conversely, life in the U.S. is like in than respect (although some good blogs do). It would help if now and then someone put the cliché into a meaningful context to life in America. They don't mind telling you that Ebola is on the way and that french fries are going to kill you but oddly they never get specific about the negatives of living in the U.S. Articles on moving to Mexico never point out specifically the negatives of living in the U.S. that you can ditch by living in Mexico, aspects like the unapologetic materialism, relentless marketing pressure, and outrageous healthcare costs. I’d love to read “You will likely pay a fraction of what you pay now for healthcare in our corrupt system if you move to Mexico, instead of “healthcare is cheaper in Mexico.” It would be so much more fun, clearer too. Let us begin with my favorite expat platitudes that answer the question, "Why do you love living in Mexico?" Platitude #1: Family is so important in Mexico! (as ironically quoted by expats alone in Mexico, without their families). This seems an interesting appreciation for expats likely arriving alone or in twos. It’s not as if they are generally part of any lovely Mexican families (unless they married into one). They generally don’t learn enough Spanish to participate much in these extended families so, not to be harsh, why would that be such an attraction? It seems like an odd type of voyeurism. To the contrary, Mexico’s strong family culture made me feel more lonely at first. There I would be at a restaurant, by myself (because most restaurants don’t have bars where you can dine), surrounded by tables of 16 people. Every day felt like Mothers’ Day and I was an orphan. More comforting for the potential expat is to realize not that Mexico is a family culture, but that it’s a group culture. As Ned Crouch put it so well in his book Mexico and Mexicans: Cracking the Culture Code, "Americans draw a circle around the individual. Mexicans draw a circle around the group.” As expats, that’s an insight you can work with if you want a more holistic experience in Mexico. It may be next to impossible to become a de-facto member of a Mexican family without a fair bit of Spanish, but with very little you can become a part of Mexican group, whether it’s a bike group, a motorcycle group, a knitting group or a yoga group. With some Spanish, you might indeed become a a de-facto family member (as I have) and begin to appreciate how lovely that experience can be. Retired expats love to say that. I’m not an expert on Mexican culture by any stretch, but Mexicans in general are more respectful of everyone. True, older people are not “invisible” in Mexico like America seems to want to make them at times, but Mexicans tend to be more aware and attentive to people around them in general, regardless of their age. My Mexican friends are busy as hell, stressed out about the same things we are; keeping their jobs, sick family members, sending their kids to college. What they’re not doing is gluing their attention to CNN, Fox or any Mexican equivalent of a 24-news-loop. Pointing that out would help people understand what makes Mexico more relaxed. Given the demoralizing nature of what we have to look at when televisions are on in the U.S, whether it’s in your home or in front of your treadmill at your local gym, the media’s job is to make us feel something (They call that “engagement”) and unfortunately, the algorithms of effective engagement lean toward outrage and fear. The tone of discourse today and how stories are presented (to "engage" you) is what beats you down. I would tell myself, “Just turn it off,” but then there was that social pressure to be up on the news, the latest. We Americans are judged harshly in an educated society or in educated circles if we don’t have at least a working knowledge of current events. Not so in Mexico. The level of conversation can be high, but it’s not focused on news items. Social media, which has become our biggest source of news, in particular depends on engaging you for advertising revenue dollars. Sadly, they have to because advertising rather than subscriptions pay the bills. This amazing, insightful piece by Tobias Rose-Stockwell explains how algorithms have pounced on the fact that alarm, anger and fear engages us most. As collateral damage, we are put into a constant stage of high-alert that feels a lot like a faster pace of life when actually we're just being overwhelmed by external factors beyond our control. Mexicans have all the same real pressures you do. What Mexico lacks is a cultural relentlessness to hype you up 24/7 for the sake of advertising revenue. It’s that hyping up that makes us feel we are in a faster culture at home. Platitude #4 - We love Mexico because it’s cheaper. Yes that often is true in the absolute. My identical Uber ride costs less. Movies in luxurious theaters cost less. My identical cappuccino costs $2.50 at Rico's in Mexico rather than $6.00 at Inks in downtown Denver. Housing, property taxes, healthcare, food all are much less. The articles never go further, to the money you save by developing a whole different mindset about spending money. A less heralded part of the economizing has to do with living with fewer bells and whistles. A great car wash costs $6.00 but they do it by hand under a tarp. My lovely yoga studio in Mazatlán, with good ventilation, plants and art, has drop-in classes for 70 pesos (four dollars). It lacks the sophistication of the one I go to for $18 a class in Denver, but I sure prefer going to yoga four times a week rather than once a week, wouldn’t you? Platitude #5 - Life is simpler in Mexico ( on a little on being "picked to death by a duck"). That life is more simple in Mexico is related to Platitude #4: that it’s less expensive in Mexico. It’s marketing that complicates our lives in the United States. No one mentions this. Being sold to constantly makes life more complicated. We Americans are Marketing Gods. Hundreds of awards exist for marketing exceptionalism. You can’t individually remove those cultural DNA strands, nor would we necessarily want to. Like a boss once explained the American economy to me, “Nothing happens here until someone sells something.” Many of us have made a good living at some form of it, or have had jobs because someone else did it well. No one can help but admire beautiful marketing campaigns like Spotify or Under Armour’s, it makes you proud to be American even. And if that kind of pride is not an American idiosyncrasy, I don't know what is. Conversely, marketing doesn’t enjoy such glory in Mexico. Successful marketing professionals haven’t taken on near-heroic status here like they have in the U.S. That expertise rains down on us, converting our moods in subtle ways. The way in which Americans are marketed to fundamentally changed from broad sales appeals to a-la-carte upgrades about 15 years ago featuring add-ons, V.I.P. privileges in museums, a dollar more for the M&M sprinkles on your ice cream - you name it. That’s what we’ve become as American consumers. We are being constantly pecked to death by a duck, creating a tiny yet frequent agita in us too small to figure out the source of. For ten seconds at lunch in Denver, I have to suffer from craving extra pepperoni for $1.50 more and decide if I can justify even that expenditure for something that’s not good for me. In the U.S., we are constantly being pecked to death in the name of “choice” for a few dollars more each time you turn around from companies that are already very profitable. Should we have to suffer even two seconds of energy output over a pizza topping? As this article describes, all decisions take energy. That's why no accused criminal wants his court hearing at the end of the day. Yet we have to make these decisions constantly - peck, peck, peck. Conversely, If go to the taco stand conveniently located in the OXXO (Mexico’s 7-11’s) across the street, as of yet I don’t have to pay 10 centavos more to have my taco wrapped in a double tortilla (even though I’m sure the vendor could use those centavos). One reason Mexico is simpler is because spending decisions are fewer. Unlike the prestige given to marketing jobs in the U.S. I’m not sure if the marketing profession is even that respectable in Mexico yet. Those whom I’ve met in the marketing world here seem a little sheepish, rather than duckish, about it. Related: Amazing stats on the level of impulse buying we think we're not doing in the U.S.
Next up: Mérida and nearby areas are top potential expat destinations. Let me introduce you to Mérida through the eyes of a young Mexican business woman and rental concierge associate listed in "If Only I Had a Place." Hola! 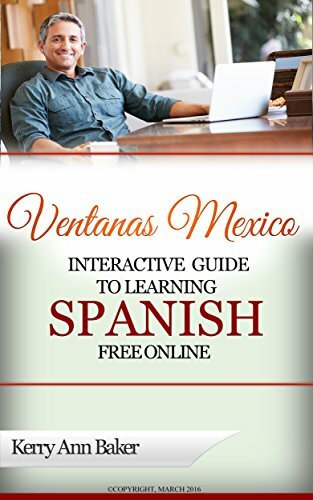 I'm Kerry Baker, writer of this blog and several books, the first being the "Interactive Guide to Learning Spanish Free Online," offering you links to the best free language features and tools on the web, with lesson plans. Use the book's lesson plans or create your own via links to hundreds of sites, many of which you'd never find in a Google search (like the sites based in Spain). Over 300 sites were researched to offer you this curation of Spanish teaching jewels. Study anywhere by using the book with your laptop, e-reader or tablet. 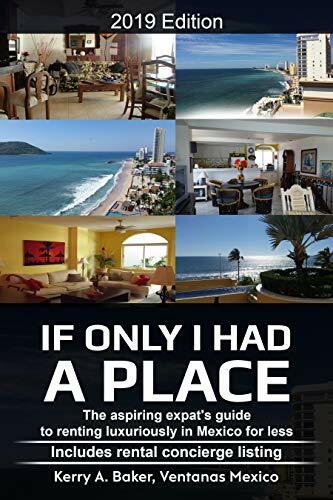 "If Only I Had a Place" about renting luxuriously in Mexico, geared toward the aspiring expat. Renting longer-term in Mexico is different. Avoid the pitfalls and rip-offs and establish your new expat life in style! Book includes a listing of rental concierges in all the most popular expat destinations. See reviews here.